Empathy is one's ability to understand and share someone else's feelings, and in a time where machines replacing people in the workforce has become quotidian, stands out as uniquely, and beautifully human. 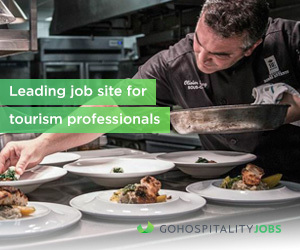 This topic was chosen, because in the context of hospitality, empathy is observed as a fundamental part of becoming an effective leader in the industry, and in a broader context, anywhere. The lead author's course of action in moving up, and becoming more influential in the field, is largely based on the idea that empathy is lost upon a considerable amount of current managers. To effectively manage someone in hotels, one would need to have experienced trials and tribulations similar to that of his/her employees. The fastest way to achieve this, is to have worked in the position those employees are currently working. This is the quickest method to fully understanding the responsibilities of the people one would manage, the amount of effort/trouble a request one may have for them will give, and in turn, allows a manager to share valuable insight as to how he/she handled certain situations when they were in a similar position (as opposed to reciting information from a training manual). Information from managers to employees will resonate much better if you can relay personal-experience-esque advice, and as a result, your relationship with your employees will improve. In any context, eliciting empathetic behavior is the optimal method for getting someone to feel understood, move towards discovering their personal values, and gearing their heads towards a common goal (and in turn leading them to achieve that goal). This applies directly to leadership, because empathy, theoretically, is the key to improving relationships with people, building trust, truly understanding/considering the needs of others, and augmenting your ability to lead. 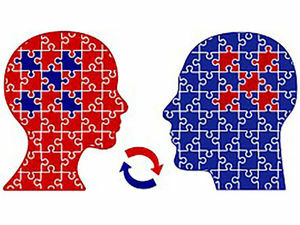 If you are able to make someone feel as if they are understood, or adequately heard out by you, it is much easier to rationalize with them, make them understand where you are coming from, potentially with verbiage that will stick better if framed in a way that suits their own personal interest, and in turn, lead. Two perpendicular scenarios are provided here, in aims to exemplify the importance of empathy in the hospitality industry. Scenario one illustrates a five-star hotel in the U.S., and a bellman who is originally from China, that is new to the work context of that hotel. A front desk manager is responsible for addressing and correcting a recent mishap of the foreign worker. The bellman was getting bogged down with D.T.S calls (small errands assigned to bellmen such as bringing a rollaway bed up to a room), and check-ins, which resulted in a guest's request remaining unfulfilled for hours. The front desk manager is an american man, with no experience outside of the country, years of front-desk experience, but no prior bellman experience. He addresses the situation by calling the bellman into his office, making the worker aware of his/her mistake, referring back to the formal training each staff member was required to take prior to working in their position, and sending the bellman back to work once it appears he/she understands what transpired as a result of his/her mishap. In scenario two, the same two characters are present, and the same issue unfolds, but this time, the american worker had an internship abroad a few years prior, and worked for one year as a bellman. With these experiences, this manager has the tools to make a lasting impression on the bellman, by utilizing empathy. Instead of being so quick to tell the bellman what happened as a result of his/her mishap, and referring back to a training course, this manager considers that the worker is new to the position as well as the country, and talks with him/her for a bit, to better understand his/her circumstances. It is possible that this manager remembers, from his own work experience abroad, how difficult it was to not only keep in mind the culture of an entirely different country, but perform your job on par with the staff around you. It is also possible that the pace or size of the hotel is greater than any hotel that bellman had worked at previously ( making it more difficult than he/she presumed, to navigate the hotel and accomplish tasks in a speedy fashion). Therefore, thanks to the prior bellman-experience of the manager, he is able to relay personal insight as to how he juggled D.T.S calls and check-ins when he was in the same position, such as finding optimal room routes to efficiently deliver items, learning little shortcuts around the hotel, avidly communicating staff as to your whereabouts and current workload, so you can either help another bellman out or be helped out, etc..